By: James Dunworth Categories: e-cig, ECigarette Academy, movie, movies 1 great comment - add yours! E-cigarettes may have helped millions of people to switch away from tobacco cigarettes, but they don’t work for everyone. And recent research, highlighted in the E-Cigarette Summit, found experienced users get a lot more out of ecigarettes than new users. There’s a key reason for this – and that’s because some beginners (especially those who don’t have friends to guide them) don’t understand one key difference between e-cigarettes and tobacco cigarettes. In this short video, Tom from ECigaretteDirect shares an easy tip to ensure that you, if you are a beginner, will get the most out of ecigarettes. 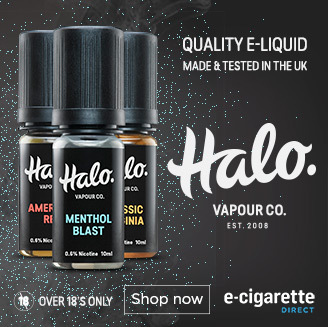 Hi there, Tom here from ecigarettedirect.co.uk to talk about vaping and ecigarettes. Research has show that experienced users get a lot more out of ecigarettes than beginners. And this is for one quite simple reason. When you use a traditional tobacco cigarette, you take quite short, sharp drags, a little bit like this. As you can see there is very little vapour, and I’m not getting much throat hit from that. If you take a more controlled longer drag, you can get a better throat hit, more vapour and more flavour. You can see I’m getting more vapour, I’m definitely getting more vapour out that, and the throat hit is a lot better. If you are doing this one of our Halo tank kits, it would be the same except that you just need to hold the button a little bit longer, like this. And I almost took much there! But that’s much better than a short sharp draw. Thanks for listening and thanks for watching, and I’ll see you soon. Are you an experienced vaper? 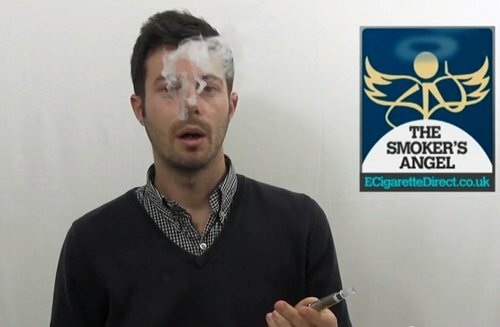 What other tips would you share with new e-cigarette users?